Welcome to the Parents Corner blog - a new feature offered by MassCamps. Our goal is to have articles about current & important topics for parents of school age and summer camp age children. We are in contact with hundreds of camps and thousands of parents and we want to use this forum to benefit many parents and children. Please feel free to comment and let us know what you think. September 2016 - LEGO Teams Gear UP! April 2016 - Camp Internships help build character ... and Resumes! April 2016 - STEM vs. STEAM - Does it matter? 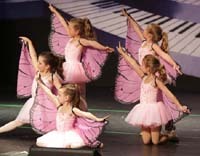 August 2015 - Back to School Performing Arts programs. August 2015 - On My Own Programs. When, Why and How to start. To learn more about LINX Classes or to register, visit http://www.linxclasses.com or call 781-235-3210. June 2015 - Traditional Camp values in one-week sessions. May 2015 - What is Gaga Ball? April 2015 - What Makes an Outstanding Junior Theater Program? March 2015 - The Stem movement? 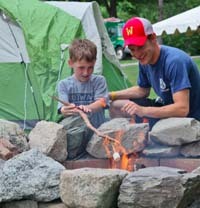 the Right Summer Camp for Your Family? Josh Schiering, Camp Director, Trainer, Speaker and lifelong advocate for building bully free environments. How to create an environment in which bullying would never dare exist! Lisa Keohane, selected as the Massachusetts Regional Bully Project Volunteer for the state of Massachusetts.